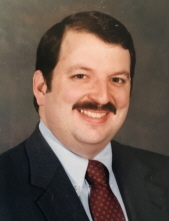 Mr. Thomas Albert Ratcliffe, age 65 of Traphill, passed away Wednesday, March 27, 2019 at Forsyth Medical Center in Winston Salem. Memorial services will be held 3:00 PM Thursday, April 18, 2019 at Mountain Laurel Moravian Fellowship located at 191 Transou Methodist Church Road, Laurel Springs. Family will receive friends after the service. Mr. Ratcliffe was born April 18, 1953 in Washington, DC to Virgil Allan Ratcliffe, Jr. and Marjorie Catherine Ranck Ratcliffe. He was employed by Wayne Farms as a Health/Safety Coordinator. Mr. Ratcliffe was a member of Mt. Laurel Moravian Fellowship, Old Hickory Council, BSA, Vigil Honor Member, Farmington Masonic Lodge, Retired member of Elkin Rescue Squad. He liked photography, the outdoors and camping. Mr. Ratcliffe retired from Lowes, Companies, Inc.
Mr. Ratcliffe is survived by his wife; Sharon Ratcliffe, two sons; Hoyt David “Bo” Robertson and Jennifer Giles of Clingman and Stephen Thomas Ratcliffe of Traphill, a granddaughter; Tressie Grace Robertson and her mother; April Nicks Robertson and a brother; Lee Allen Ratcliffe of Seattle WA. In lieu of flowers, memorials may be made to Mt. Laurel Moravian Fellowship PO Box 104 Laurel Springs, NC 28644. To send flowers or a remembrance gift to the family of Thomas Albert Ratcliffe, please visit our Tribute Store. "Email Address" would like to share the life celebration of Thomas Albert Ratcliffe. Click on the "link" to go to share a favorite memory or leave a condolence message for the family.